The Santiago Bernabeu is the stadium where many of the best players in the world have showcased their talent. Cristiano Ronaldo is the latest addition to a list of Madridistas that have won the Ballon d'Or. His spectacular campaign in 2008 made him the most prominent player at Manchester United, with whom he won the Premiership and the Champions League. He won the Ballon d'Or, the Golden Boot and the FIFA World Player awards. The year 2007 was very special for Kaka. He won the Ballon d'Or thanks to his great season at Milan, during which he won the Champions League and was the tournament's top-scorer with 10 strikes. He was voted as the Best Striker in the Champions League, Best Player in the World by FIFPro and the Most Valuable Player of the World Club Championship. He also won the FIFA World Player award and was featured in the Golden Eleven. Fabio Cannavaro won the Ballon d'Or in 2006 after a sensational season at Juventus and ahving won the 2006 World Cup with Italy. He also won the FIFA World Player award and signed for Real Madrid. The Brazilian won the Ballon d'Or in 2002 after coming back from a serious knee injury that kept him off the pitch for more than a year. Owen won the UEFA Cup, the European Super Cup, the Carling Cup and the FA Cup with Liverpool. He became the youngest player to receive the Ballon d'Or. His excellent season at Barcelona in 1999 resulted in the Ballon d'Or; he won the league title, signed for Real Madrid, received the Ballon d'Or and went on to winn yet another league title. Leader at Juventus and the French national team, he helped his country win the World Cup against Brazil with two goals. 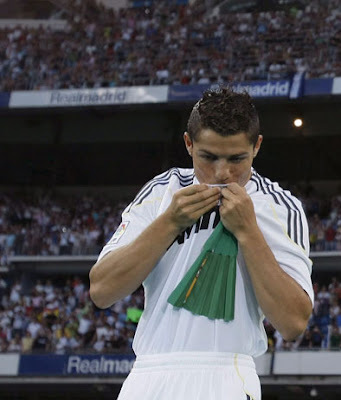 A true symbol of Real Madrid and a world football icon. He is the only player with a Super Ballon d'Or. Won Real Madrid's third European Cup and starred in the 1958 World Cup, in which France finished third.